Search Our Vast Selection Of Certified Loose Diamonds To Find The Right One For You. If You Have Any Questions Or Need Assistance Our Expert Gemologists Will Guide You To The Perfect Diamond. Through The Years Zadok Has Become The Jeweler Of Choice Of Houstonians And Clients Around The World. Enjoy Our Spectacular Collections From The World's Leading Jewelry Designers. Need Something Repaired or Sized? Fine Watches And Timepieces Are Indeed Much More Than Just The Sum Of Their Individual Parts. Zadok Assures Authenticity Plus The Manufacturer's Complete Guarantee. At Zadok Jewelers we have an on-premises staff of master jewelers, watchmakers and service consultants. From repairs and sizing to precious stone replacement and cleaning to watch repair and maintenance, Zadok's on-premises staff can help. Our Jewelry experts will make it possible to re–use your old jewelry and gemstones to create an entirely new design. 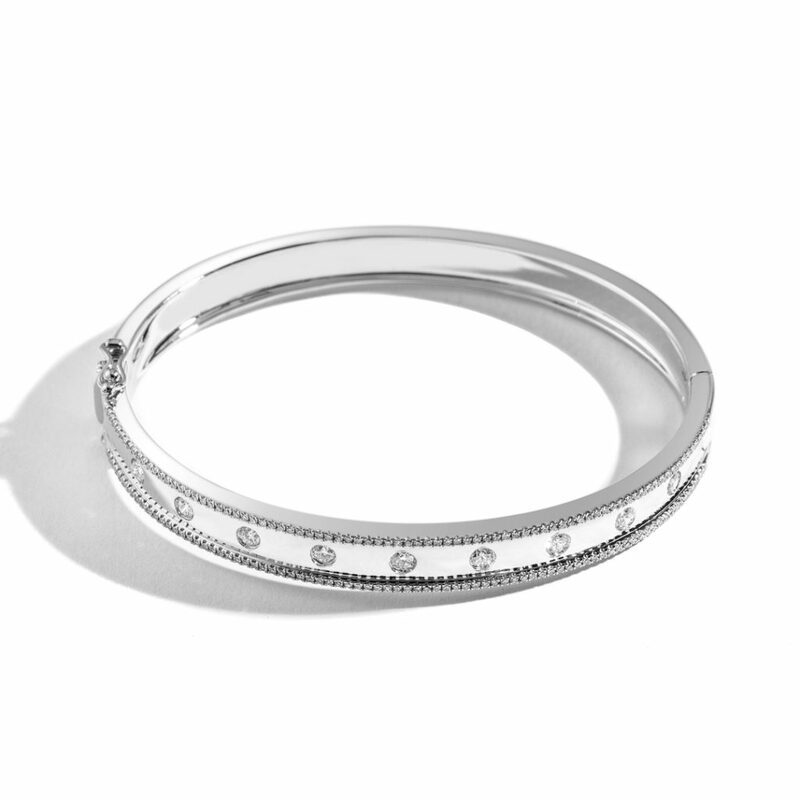 The Medium Domed Diamond Bangle from the Zadok Collection. 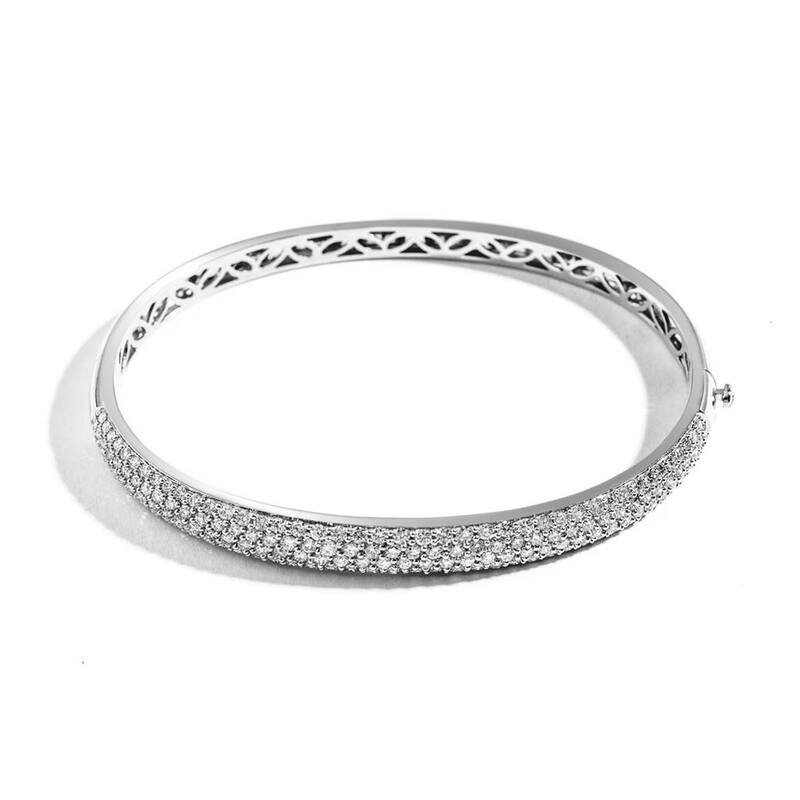 Set in 18k White Gold this stunning Bangle will make your friends' wrists envious. Please fill out the form below and a Zadok specialist will contact you regarding this product as soon as possible. 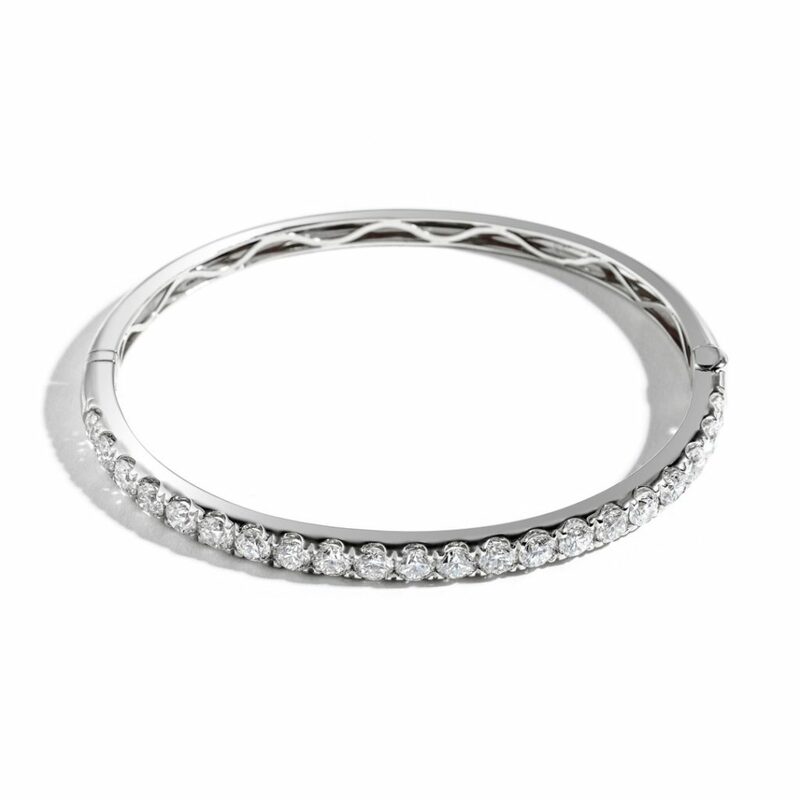 The Small Domed Diamond Bangle from the Zadok Collection. 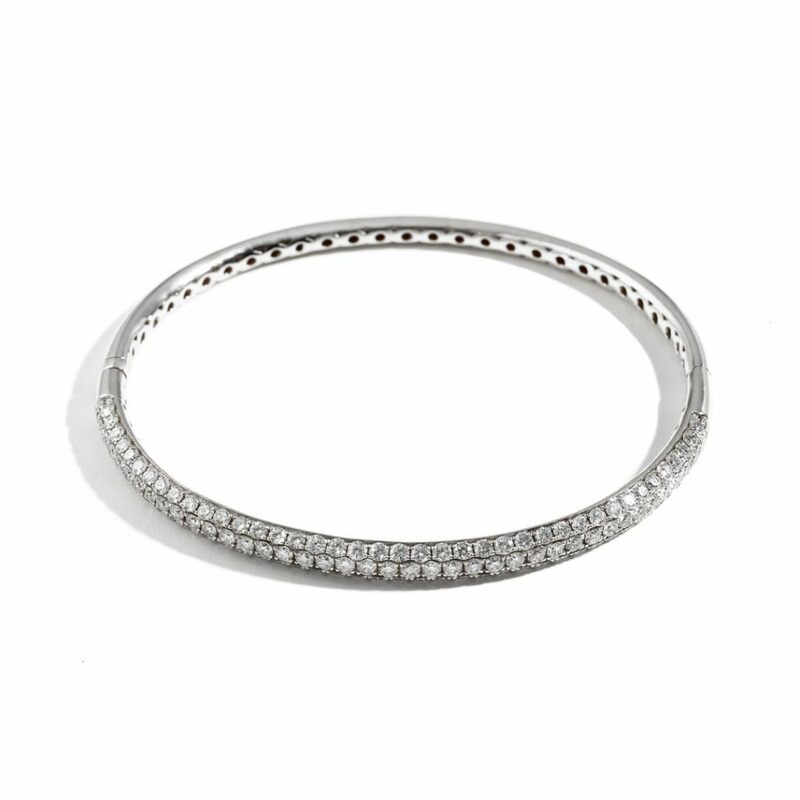 Set in 18k White Gold this brilliant Bangle will sparkle at every turn. The Large Domed Diamond Bangle from the Zadok Collection. Set in 18k White Gold this shining Bangle will mark every motion with classic style. 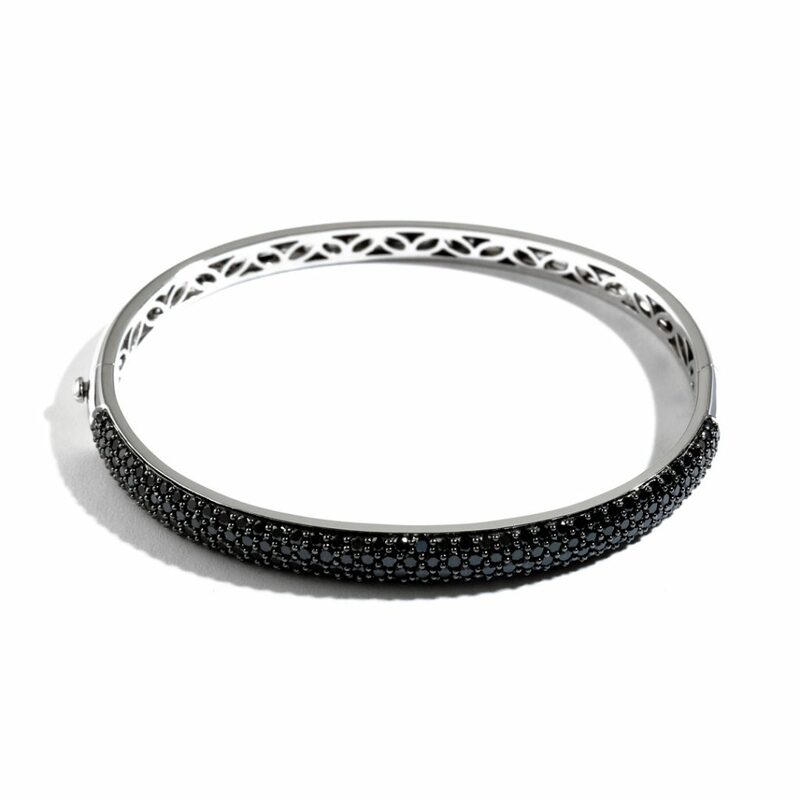 The Medium Domed Black Diamond Bangle from the Zadok Collection. 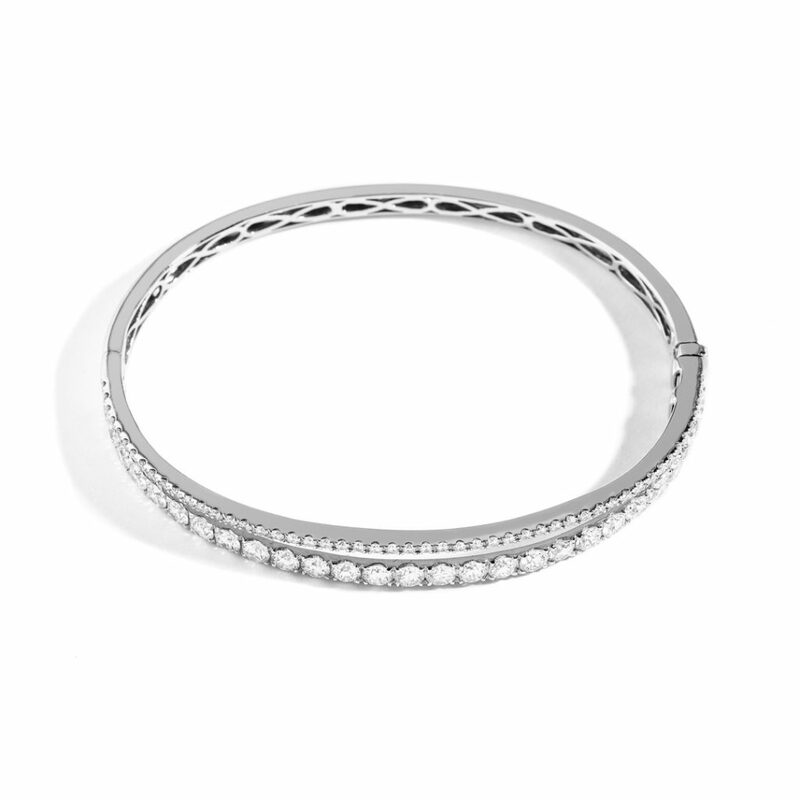 Set in 18k White Gold this refined Bangle will sparkle at every turn. The Medium Split Prong Diamond Bangle from the Zadok Collection. Set in 18k White Gold this etheral Bangle will accompany your every gesture with brilliance. 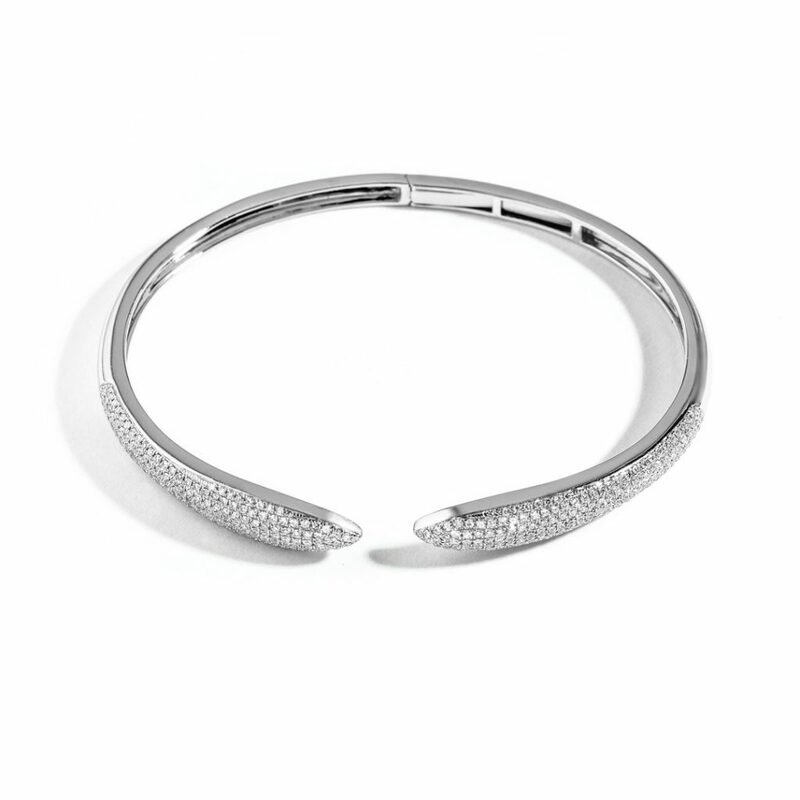 The Pave Diamond Bangle from the Zadok Collection. 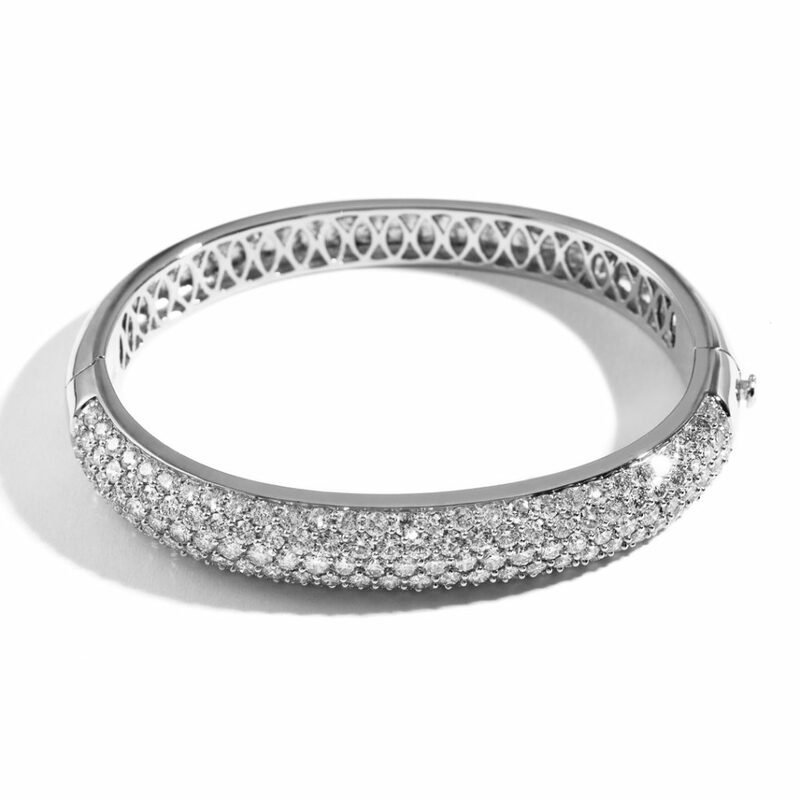 Set in 14k White Gold this gorgeous Bangle will encircle your wrist with sparkle. The Two-Row Diamond Bangle from the Zadok Collection. 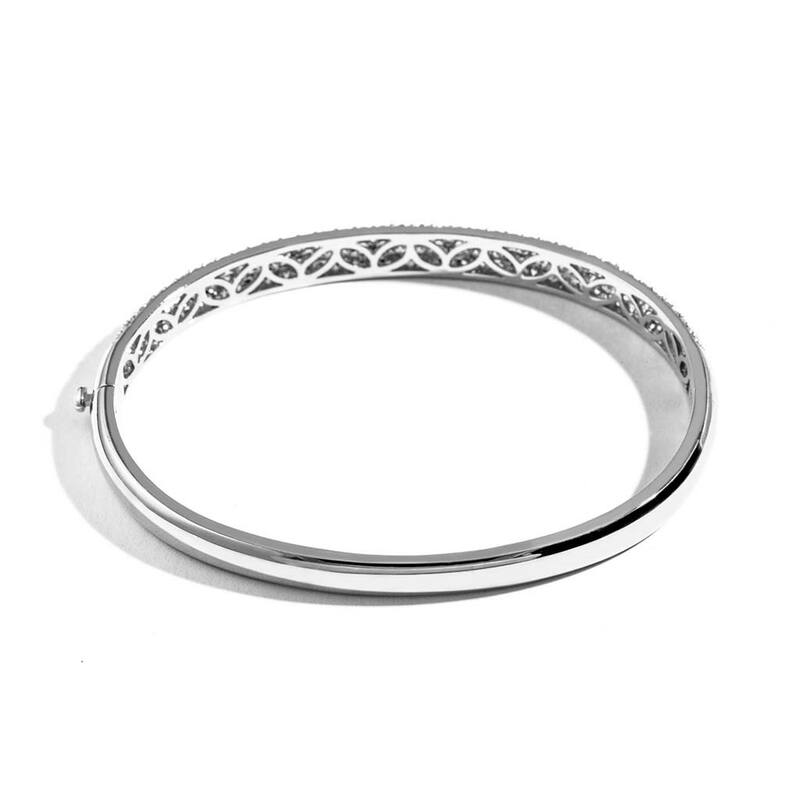 Set in 18k White Gold this lush Bangle will delight your hand. The Flat Sided Diamond Bangle from the Zadok Collection. Set in 14k White Gold this dazzling Bangle will mark every motion with classic style.